You need professional mold control services when you see signs of a significant mold problem in your Atlanta, Georgia, home or business. Certain molds release dangerous mycotoxins, which can irritate allergies and cause other unpleasant health effects, especially for particularly vulnerable people, such as the elderly. To effectively eliminate significant mold growth, you need the proper training and equipment. At Abatement Solutions Inc., our certified mold remediation contractors utilize a full range of professional mold control methods to rid structures of dangerous mold contaminations. Having served a wide range of clients over the years, we remain the mold removal company of choice for homeowners, businesses, realtors, and builders alike. Mold inspection – Our certified inspectors will conduct a thorough visual examination of your property, looking for mold growth. They know where to look for mold and can remove drywall, carpets, and other surfaces as needed to reveal any mold growth that may be hiding underneath. We’ll also have air samples tested as needed to confirm the presence of unseen mold contaminations. 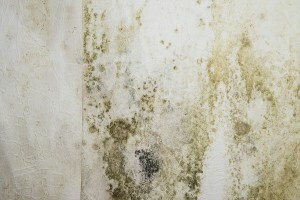 Mold remediation – From the many mold control methods at our disposal, we will devise a specialized mold treatment plan that suits the unique nature of the mold problem in your Atlanta, GA, structure. We will use water extractors, contaminant barriers, air scrubbers with HEPA filters, EPA-registered disinfectants, and other tools to fully eliminate the mold. Mold prevention – We will spray a preventative mold control coating on the unfinished surfaces in the building that face the greatest risk of having mold return. These surfaces may include drywall, framing, and other building materials. We back this mold prevention treatment with a strong 10-year warranty. For new construction, we also offer FortiCel™ treatments, which will coat the structural framing inside of the building’s wall cavities. We back our FortiCel™ treatments with an impressive 25-year warranty. To discuss how our mold control services can make your home or business a safe environment once again, contact Abatement Solutions today. We proudly serve residential and commercial customers in the Atlanta, GA, area.